A very nice video by Charlie Denson showing more of the vanishing history of our hometown. Were We Really That Young? Are We Really This Old? Have pictures of people and stories of the Coney Island Houses? We are a group of friends who grew up in the Coney Island Houses in the 1960s. © Joey DePinto and The Coney Island Houses, 2017. Unauthorized use and/or duplication of material including photos without express and written permission from this blog’s owner is strictly prohibited. Excerpts and links may be used, provided that full and clear credit is given to Joey DePinto and The Coney Island Houses with appropriate and specific direction to the original content. - Completed January 31, 1957, the Coney Island Houses include 5 buildings containing 535 apartment units housing approximately 1,398 people. 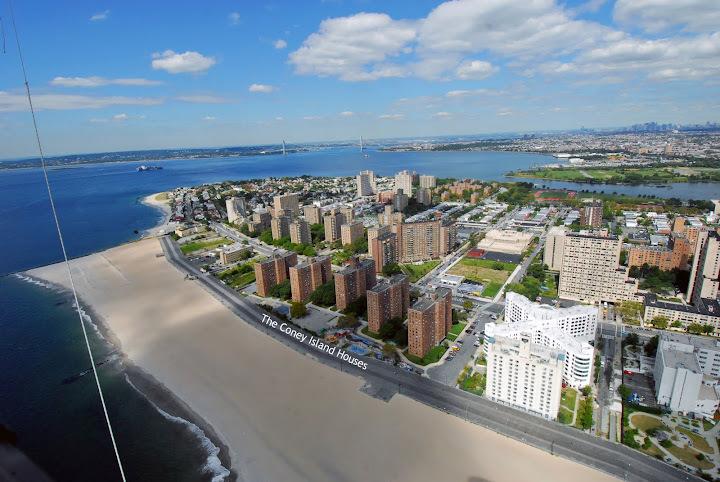 - Located in Coney Island, Brooklyn, the development is bordered by West 29th and West 32nd Streets, Surf Avenue and Riegelmann Boardwalk.